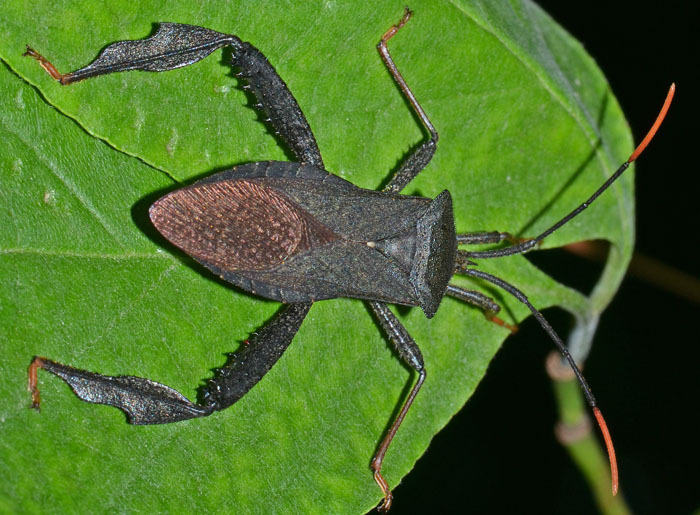 Acanthocephala declivis (Giant Leaf-footed Bug) - imm. Size: approx. 6 mm. Photo: 06/16/14, 7 pm. A nymph. 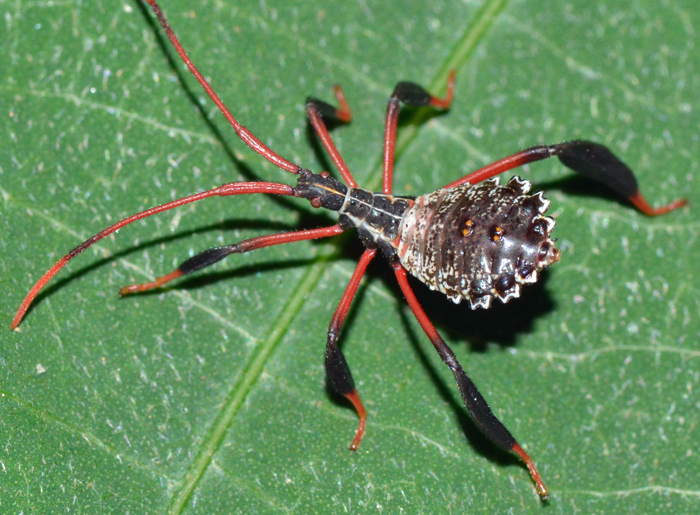 Once it's grown up, it will be an impressive leaf-footed bug with extra wide "shoulders" or as the bug guide puts it "Humeral angles of pronotum broadly expanded, extending laterally well beyond maximum lateral abdominal margin." 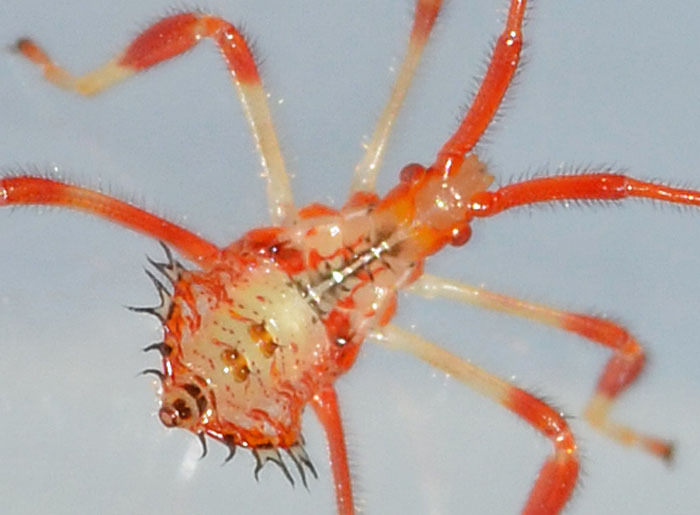 The small photos (08/10/14) show an earlier instar of Acanthocephala sp. Size: approx. 20 mm. Photo: 07/05/14, 8 pm. 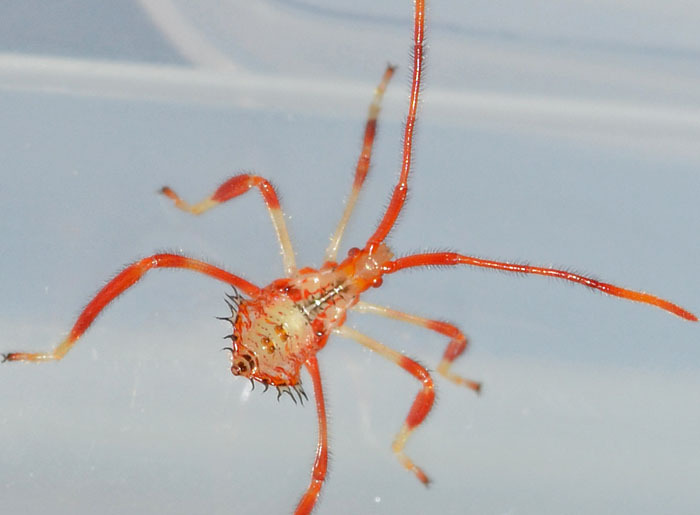 About three weeks after spotting the nymph, I found this grown-up version. It is rather large and the apical segments of the antenna have a striking orange color whereas the rest of the antennae is very dark.